Japan-led cosmic X-ray observatory Hitomi (ASTRO-H) was succesfully launched into orbit Today, from Tanegashima Space Center. 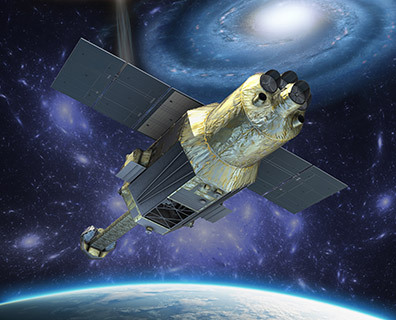 With its superior spectroscopy power and wide-band coverage in X-ray bands, Hitomi will provide new insights into high-energy phenomena in the Universe. Graduate school of science of the University of Tokyo is activly involved in this project. In addition to the project leader Prof. Takahashi, Prof. K. Mitsuda, Associate Prof. N. Yamasaki (of ISAS/JAXA), Lecturer K. Nakazawa and professor emeritus K. Makishima (Faculty of Physics, also RESCEU) are all major contributors for the onboard instruments, and are members of Department of Physics. Prof. K. Ebisawa leading the data-archive activity in Japan is a member of Department of Astronomy. Many graduate students of their laboratories are also working very hard to develop the satellite.